A simple galvanised Chainwire fence is the cheapest permanent metal fence we have available in Brisbane. 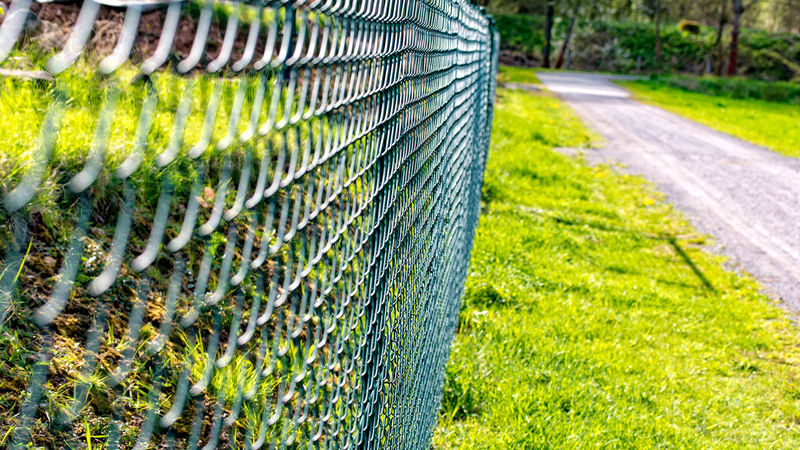 However, they don’t have to be plain, Chainwire Fences can be ordered with top or top and bottom rails in a wide selection of heights including 900mm, 1200mm, 1500mm, 1800mm & 2100mm. Posts can be cemented into the ground or flanged onto concrete footings or retaining walls. You can also choose to also have powder coated posts to a range of colours and black or green PVC coated wire. FenceCo offers a full range of fittings, pipes and we can custom make gates to fit any opening.